Last week, three Students’ Union councillors revealed that they had resigned their positions because of frustrations with the system. This may seem like a one-off occurrence, that this year there is dissatisfaction with Council’s operations, but it is not unique to this year. Many councillors have resigned before the end of their terms over many years, most due to a combination of school stress and feeling that they did not have the tools to properly hold accountable the Executive Committee of their year. Instead of anyone on either side noticing that councillors are starting to resign and trying to come together find out how the system could work more effectively, the spot just gets filled with a councillor-in-waiting and everyone moves on. This pressure builds until it hits a boiling point, as it appears it just did. When I was elected vice-president (operations & finance) in 2015, I had never sat on Council before, so I got a crash course in how it worked prior to starting the position. The impression I got from past Students’ Union “hacks” and staff was that Council should be treated as more of an obstacle to find ways around, instead of a partner in achieving our goals. I don’t think this is willfully done, though: Council has operational support from Discover Governance which runs the technical, nuts-and-bolts aspects of meetings (minutes, agendas, etc.). 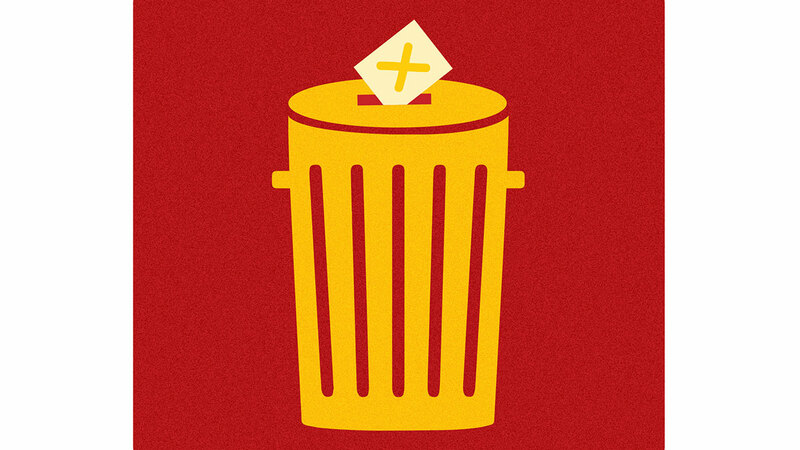 Where it falls apart is when it comes to councillors deciding what they want to achieve in their year, especially if those decisions come up against what the executives want. There is a significant power imbalance in Council. There are 32 councillors and only five executives, but those executives are full-time staff who get a massive orientation week at the start of their terms so the relationship between the two groups naturally begins on uneven ground. Some would argue that this is obvious and necessary because students elect the executive to be those full-time, operationally-focused leaders, but they also elect students to Council as oversight. It is my firm opinion, despite being a former executive, that Council plays a much-needed role in the conduct and actions of executives over the year. They are our colleagues, and in a sense, our supervisors (not any single councillor, mind you — Council as a whole body). I am not here to preach how councillors and executives can hold hands and sing together in harmony. I too was guilty of trying to steamroll initiatives because I believed I had the “elected authority” to do so. I had a reputation for not taking Council meetings seriously, and I think I didn’t because it had been drilled into me that the perceived power of the Executive Committee was able to strong-arm opposition to something to get our way. Once, I was being asked by some councillors about the specifics of the grocery program I was implementing in SUBmart. Instead of actually answering their questions, I read the entire 105 item list of what groceries we would be stocking. That stunt was funny, but as I look back on it, I think it was subconsciously a way to deflect from actual questions (not to mention it ate up my speaking time). I wasn’t deflecting because the program was bad — I consider groceries one of the high points of my term — but because I was taught that Council wasn’t a serious place and that we could do whatever we wanted with no accountability. Does this make me look like a cynical garbage monster? Maybe, but let me tell you how the Council-executive relationship worked the way it was supposed to in my year. I chaired the Finance Committee, and that may have been the place I took Council most seriously, because money is serious business and it was one of the more operational committees. Part of our committee’s mandate was to review and approve the financial reports of Dedicated Fee Units the Students’ Union collected levies on behalf of on-campus groups (like CJSR, The Landing, and The Gateway). Although I had worked with the chairs and directors of these DFU organizations and knew they were all above board financially, it wasn’t my decision alone to approve their reports. So we made sure the committee moved at a steady but reasonable pace, where every councillor had the opportunity to review everything submitted. More than once, the committee postponed approval for a DFU by a month because the committee instructed me to go back to those organizations with questions about their reports. Because of the imbalance of power, it would be easy to just steamroll the committee into approving the reports on a split vote, but that’s not the way Council is supposed to work. This isn’t a celebration for doing the bare minimum, but rather evidence that sometimes the relationship works the way it is supposed to, and similar processes should apply to all kinds of situations. So it’s a mixed bag: sometimes executives really want their initiatives to succeed regardless of feedback or process, and sometimes things are more thought-out. If executives treated Council as partners in governance with more deference, something like GovWeek may have been a bigger success. Which is no disrespect to the intentions behind GovWeek – an initiative designed to get students fired up about their union when they aren’t normally involved is a tough and brave hill to climb. However, there was a deep sense of dissatisfaction from councillors, who are just as elected as executives are — in my opinion, voter turnout is not indicative of the validity of a mandate — and didn’t think it should continue. The report cites 71 per cent of students surveyed having no idea if the event should even continue for a third year, which is hardly a resounding vote of confidence. Instead, that money could be used for targeted workshops, partnerships with faculties that are not as active in the Students’ Union, and a deliberate attempt to look at why voter turnout in elections is so low. Councillors voiced these concerns, but I would put money on GovWeek happening in September 2018 because feedback from Council isn’t given the weight it should be. Council also needs to be more aware of what it does and doesn’t have the power to do. 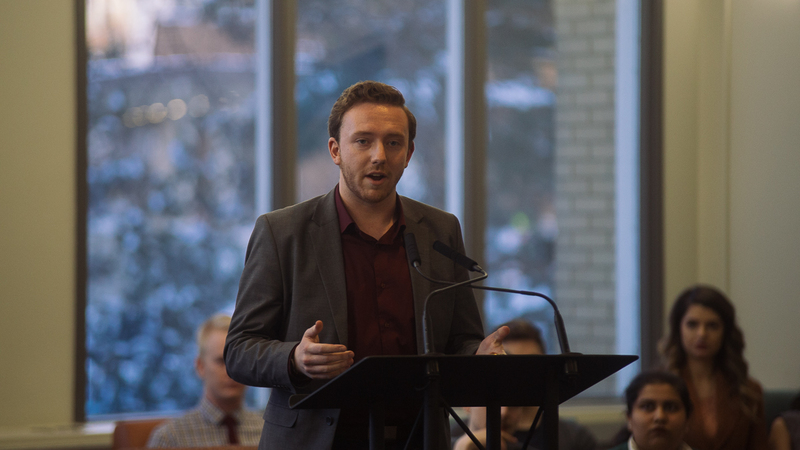 The Students’ Union deliberately splits its governance into two parts: the Executive Committee for day-to-day operations, and Students’ Council for legislation and policy. A councillor wanting to do something operational should seek out an executive to partner with on it, because they have many more resources and access to experts who can make it happen. 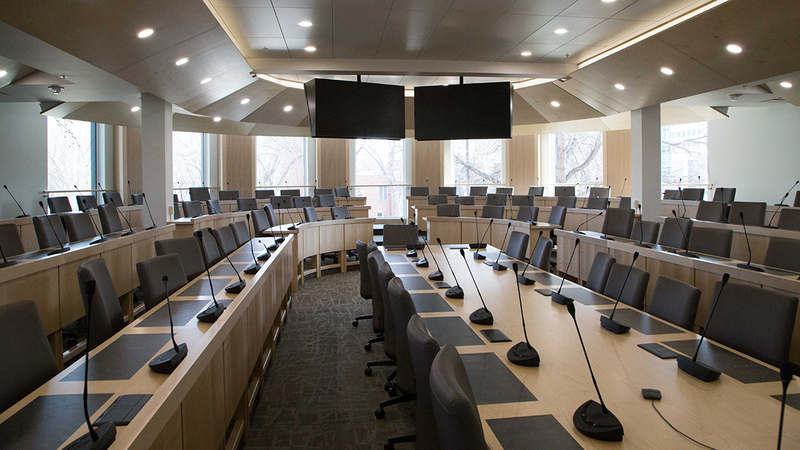 Council should largely stay away from specific operational issues, except when they see the Executive Committee neglecting to fill a gap on campus. They are a check on the executive, and Council meetings are absolutely the appropriate place to raise concerns. It is not impolite to call out an executive for something they have done in the course of their work, because Council as a whole is the supervisor of executives. If executives encouraged individual councillors to approach them privately with concerns, it could lead to each councillor thinking they are in charge of the executives, which isn’t the case. It has to be a team effort, and standard parliamentary practice is to critique an executive’s actions in a public meeting so they can respond publicly, and give other councillors the chance to judge if there should be follow-up. 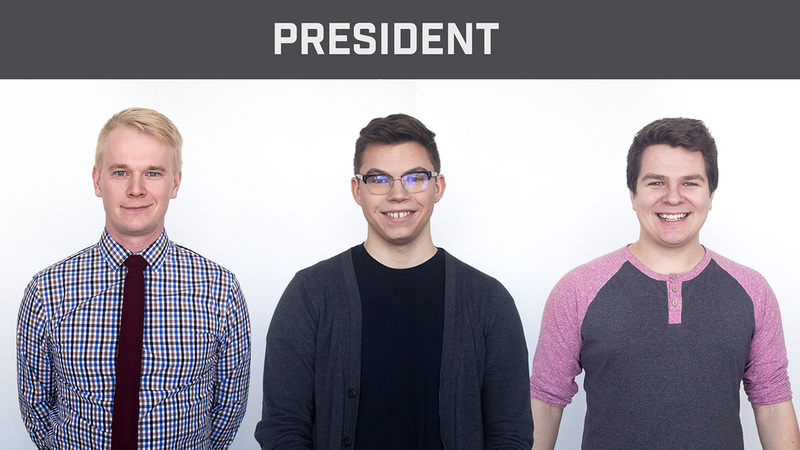 Councillors and executives are all elected by students to make life on campus easier, more affordable, fun, and interesting. There is an inherent power imbalance because of the positions, but if the two sides worked as partners, not adversaries, so much more could be accomplished. Council acts as a watchdog for executives, but that doesn’t mean things can’t be friendly, because they also act as a champion for initiatives they like. 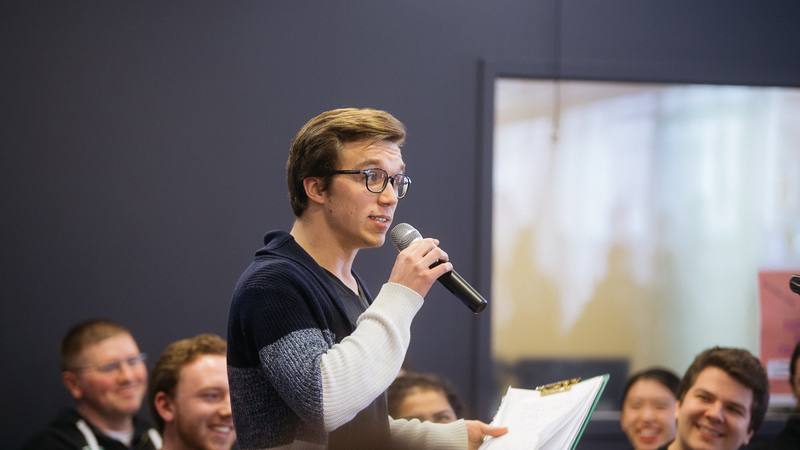 As election season looms, students should elect councillors who know the limits of what council does, and elect executives that respect the democratic process. Council needs to give executives some discretion with their work and the benefit of the doubt while asking tough and fair questions, and executives need to take Council seriously because after all, Council has the power to impeach them.